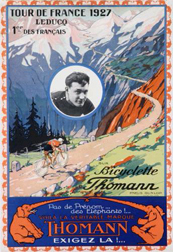 The story of the rider they called 'The Cannibal', who won everything there was to win. 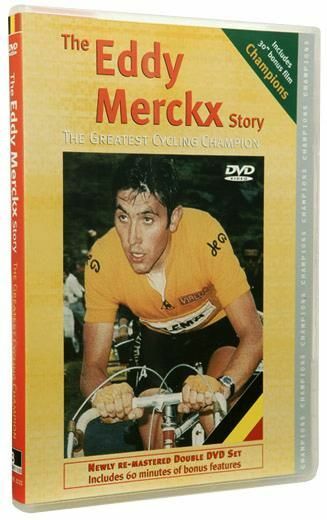 The first film, made with Merckx's full support and input, comprehensively covers his phenomenal career. With a revealing interview throughout, plus fabulous race footage and rare archive film, Merckx tells about his formative years; growing up above a small grocers shop in Brussels, before standing supreme in the peloton from the mid 1960's to the late 1970's. Merckx gave and demanded total commitment and lived, as the Irish cycling legend Sean Kelly did after him, utterly devoted to the sport. Enjoy in this wonderful film, watching a man of such incredible strength, spirit and self-belief, that when united with tremendous athletic prowess and unbridled ambition, produced a set of results in the sport, that even today, are almost unbelievable. 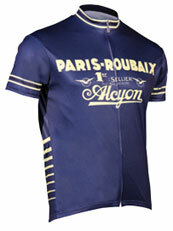 In cycling there has always been one-on-one rivalries. After the spectacular duels of Coppi and Bartali in the 1940's and 1950's, from the mid 1960's there was another great clash, between an Italian from Bergamo, Felice Gimondi and a certain Eddy Merckx. In the second film, enjoy footage of them racing and describing their rivalry and friendship. Born within three years of each other, it was Gimondi who spectacularly established himself by winning the 1965 Tour de France. Once Merckx started to dominate, the mythical era of Anquetil was no longer and although Gimondi was a very fine rider, Merckx had that something very special, an extra dimension that made him the greatest ever cycling champion. BONUS FILM: A wonderful film from the archives containing much historical footage. 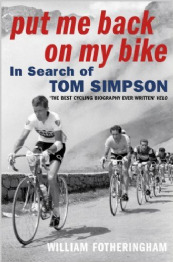 Made by Irish Television, it features well-known sports presenter Jimmy McGee talking to Eddy at his home in Belgium, where he reflects on his childhood and the highlights of his superb career.